Being a soap junkie, I'm always on the lookout for new variants of soap available in the market today be it commercially produced or handmade ones. As of the moment, I still have four different kinds of soap for review. I'm very excited to use them all because it contains mostly natural ingredients that promises to make the skin smooth, young and glowing. If you're a fan of whitening soaps, I'm sure you already know kojic acid. It is one of the most famous/effective whitening ingredient in the market today together with glutathione, alpha arbutin and placenta. I've made several reviews of whitening soaps with kojic acid before and I find this variant effective depending on the length of usage. Kojic acid soap can be drying that's why some brands combine it with other moisturizing ingredients that will combat dryness. One combination that I can say will give less dryness to the skin is kojic placenta. Placenta is known to be an anti-aging ingredient and makes the skin smooth and glowing. Our friends from Mishcka Derma Secret sent me their Kojic with Placenta soap two months ago. I just finished using this bar last week and now I'm ready to share my thoughts about this combination. Click CONTINUE READING to find out. I still cut the soap into two even if this doesn't melt fast. 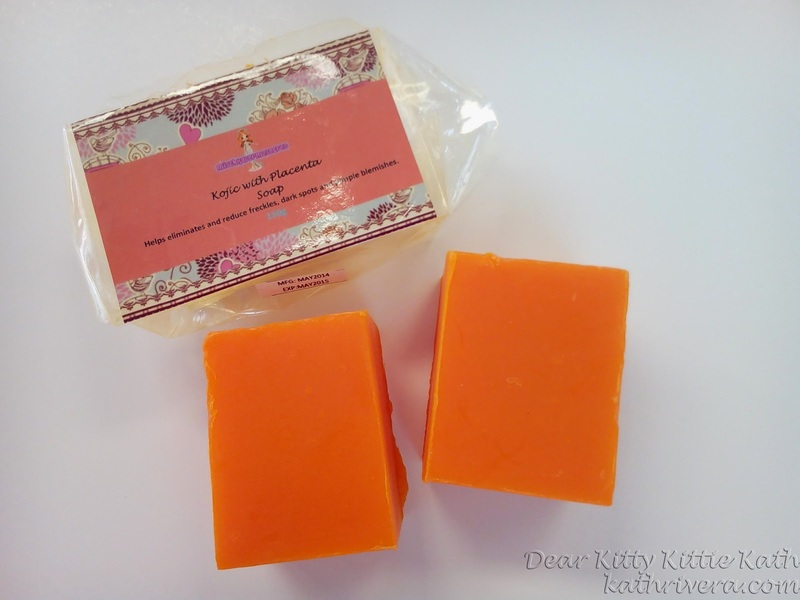 The price- one of the most affordable kojic soap that I've tried to date. The scent is not overpowering, there's a very mild sweet scent. This is not the type of "drying" kojic soap because it has a moisturizing effect on my skin. It has a micro-peeling effect on my face. I give this soap a 4.5/5 rating. Did you noticed that I didn't mention any lightening or whitening of my skin? I guess, that will go to the neutral part of this review. I think I've reached the plateau in skin whitening. Sometimes, if I use too much whitening products everyday I really don't see a change in my skin tone. But there's a glow in my skin that I can't hide. Even if I stay late at night, my skin is still supple the next day. The moisturizing effect of the placenta here is pretty obvious and it made my skin glowing. I highly recommend this soap from Mischka Derma Secret if you want to try an effective and moisturizing kojic acid soap. 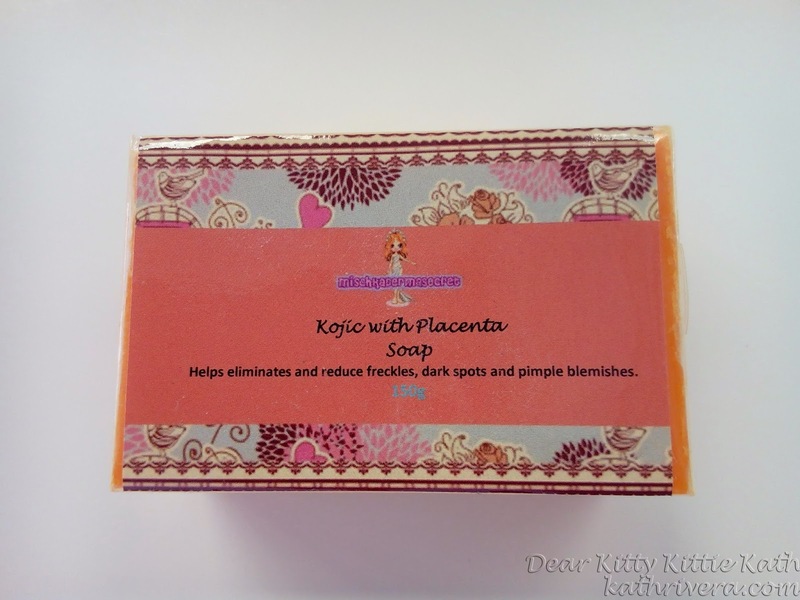 Have you tried using kojic acid and placenta soap? Share your experience dearies! where can i buy this? i want to try this. It looks like a really effective product in all aspects. Maybe they'll try to make this more available. Thanks for sharing. I'm not really a soap person, but I do find the product interesting. Easy on the pocket product. 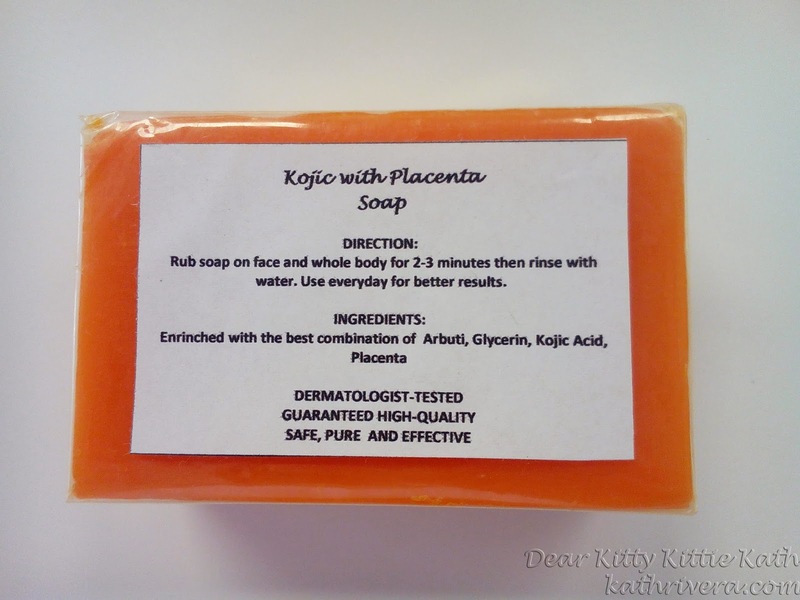 Been hearing a lot about kojic and placenta soap. Might give it a try soon. Show your before and after photos pls. Hi, as I've said on my post there's really no significant whitening effect on my body as I'm fair enough to begin with. It maintained my skin tone only. Check Dear Kitty Kittie Kath on Facebook to see my photos. Thanks! I was just wondering sis... why does placenta make skin whiter?? ?